Work in the Materials Damping Laboratory, is driven by the desire to develop materials and systems that reduce vibrations in engineering structures. Vibration testing is carried out on components from the size of loudspeaker tweeter domes (a few mm) to aeroengine fan blades (1 m or more). 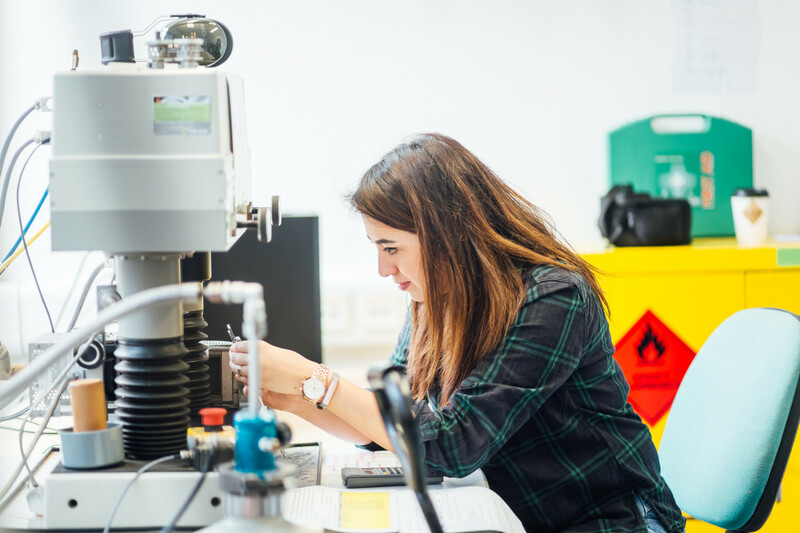 The laboratory contains equipment that helps us to investigate different energy dissipation mechanisms such as viscoelasticity, inter-fibre friction, granular dynamics and active materials. This includes a range of electrodynamic shakers for providing controlled excitation at frequencies up to 10 kHz and loads of up to 1 kN, instrumented hammers for impulse testing, accelerometers and single point lasers for measuring displacement or velocity. Additionally, there is a temperature controlled chamber of conducting vibration tests between -35 C and 160 C, thermal imaging equipment and a 10 kN servo-hydraulic test machine with load, displacement and thermal control. Hydraulic test machine providing up to 10 kN load from static to approximately 50 Hz.